Aimed at anyone dreaming of writing their first novel, this course provides a solid foundation for developing and writing longer pieces of fiction. Led by an award-winning writer, the Novel Writing short course covers essential novel writing techniques and constructs, giving you the skills and confidence to work on your own novel. This course will enable you to identify and analyse your ideas for a novel, define the techniques involved in longer fiction and help you understand the construction of a sustained piece of fiction. By the end of the Novel Writing course, you will feel confident enough to complete the first chapter of your novel, and have the momentum and motivation to continue with your writing. Delivered over 10 weeks in the evening, you will be taken through practical exercises around each area of novel writing - all taught from our central London location. This Novel Writing and Longer Works short evening course focuses on the skills required to sustain a work of longer fiction. The second half of the course will include workshop/peer review of students' own writing. To assemble and make best use of the tools that are needed to complete a sustained piece of fiction. Self-editing; analysing your own and others’ work. Some writing experience and an idea for a novel/novella/long short story. Martin is a writer, teacher, editor and musician. His writing has won a number of awards including a final year prize for outstanding achievement (UEA BA), the Alumni Association Prize for Fiction (UEA MA), a Hawthornden Fellowship, a Wingate Scholarship in literature and two Arts Council grants. Martin’s short fiction has been published in various anthologies and magazines, among them Tell Tales, Adrenalin, New Writing, A Little Nest of Pedagogues (in dual English and Chinese texts), The London Magazine and Esquire. His story ‘Forget-Me-Not’ was longlisted for BBC Radio 4’s Opening Lines. His play, Shakespeare: the Puppet Show, ran throughout the V&A’s Shakespeare Festival in April 2014. He has written three novels and is at work on a fourth. Martin has taught creative writing for the Arts Council England and at UEA. He currently teaches at City, University of London, with the British Council, and on the MA/MFA programme at Kingston University. 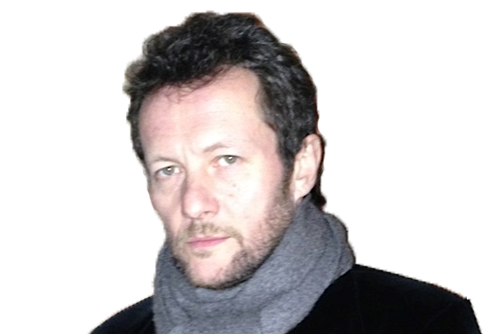 He has worked extensively with The Literary Consultancy and The Writers' Workshop and has reviewed books for the Sunday Times, the FT and the Observer. He is writing a novel with the generous support of Arts Council England.